No, you’re not hallucinating. You’re just in a musical forest. You know what nature’s been missing? Definitely not technology. But this is just too damn cool to pass up. Arranged by British composer Pete M. Wyer, iForest is a new immersive hiking trail at the Adirondack Wild Center where the forest literally sings to you. And so long as you’re there, you might as well chow down on some tasty BBQ, pop in to a couple local breweries and raft down the Grand Canyon of the northeast. You don’t realize how loud this city is until you’re confronted with the deafening silence that exists just a few miles up the Hudson. For that kind of peace and quiet, the Lake House delivers. Nestled up against Mirror Lake, where no boats are allowed, it’s got very Instagram-able design vibes and a private terrace connected to each room. Plus: a killer beer selection in the lounge, complete with pool and foosball. For breakfast, you’re hitting up The View. They’ve got superior eats and, well, the view. Elsewhere, the small-town streets are lined with solid choices all around, from Dancing Bears to the Boat House. And do not pass up the opportunity to get elbow deep in some BBQ at Smoke Signals. Even a Texan vouched that their fare sized up. The iForest is a first-of-its-kind immersive experience combining music and nature. Scattered along the path, you’ll hear (but not see) 24 speakers trumpeting out “I Walk Towards Myself,” a unique composition created by Mr. Wyer for this space. The project — a 40-minute walk designed to deepen our connection with Ma’ Earth — is as enchanting as it is ambitious. 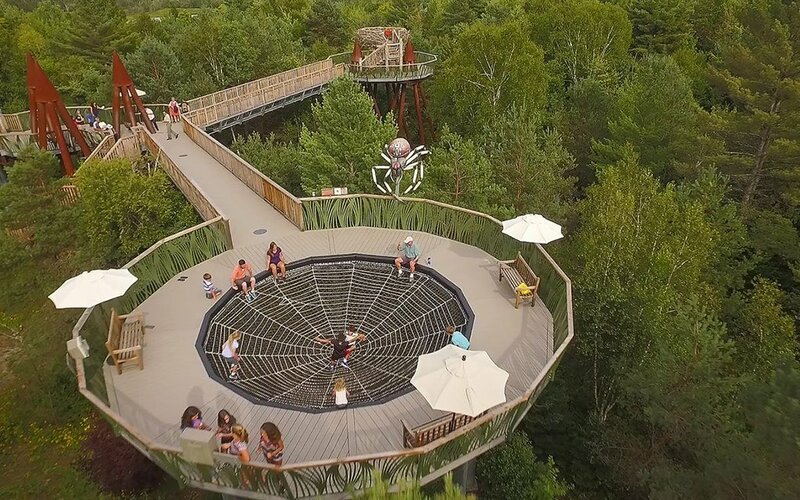 While there, you’d be a fool not to scale the treetops four stories up on the center’s Wild Walk, as well as hang with some of the animals (otters, hawks, porcupines) at their rescue center. Good for kids and big kids alike. 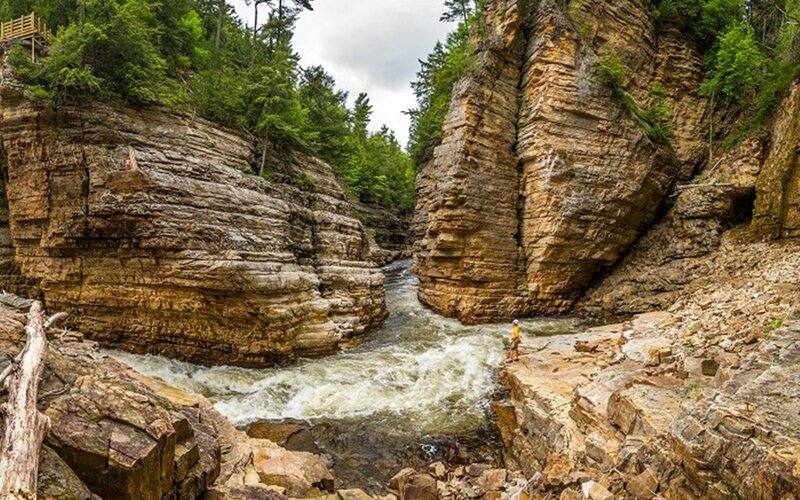 If you haven’t had the chance to Ausable Chasm, put it on the bucket list. Like a little brother to the Grand Canyon, the creation can be hiked, climbed or, as we would recommend, rafted. After-hours tours are also a hit as long as you don’t mind things that go bump in the night. After all the activity, you deserve a liquid reward. 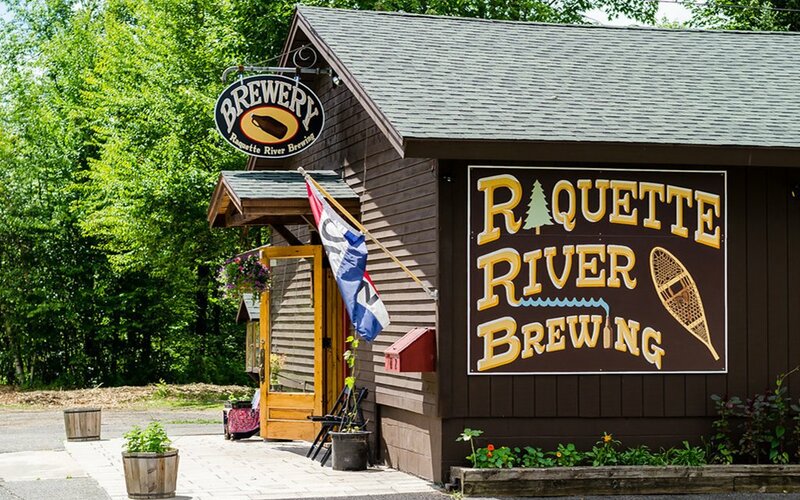 There are as many breweries as there are hockey fans up there, but our recommend is Raquette River brewing. Go for the mango wheat and the double IPA. At the chance of being chased with pitchforks, I’d call ‘em the Alchemist brewers of the Adirondacks.